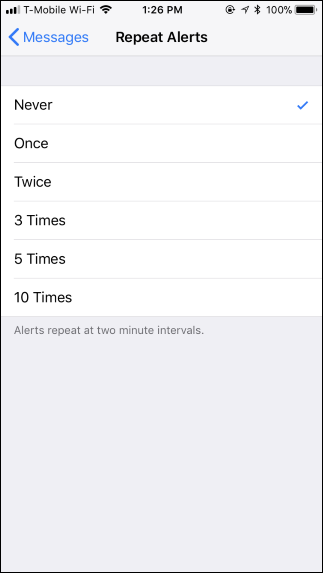 On a normal ground, your iPhone alerts you twice whenever you receive an SMS or iMessage, this turns on the screen, shows the notification, and makes a sound twice a few minutes apart whenever you get a message. This feature is designed to bring the message to your attention, just in case you missed it the first time. But in some cases whereby you know you have a notification but you don't need any pop up, you can easily terminate that also. >>Once the notification is annnoying you, just disable the repeated notifications by going to your "Settings"
>>After the move on to "Notifications"
>> Tap on “Repeat Alerts” at the bottom of the screen and set it to the “Never” option. >>First of all install the app and fire it up. 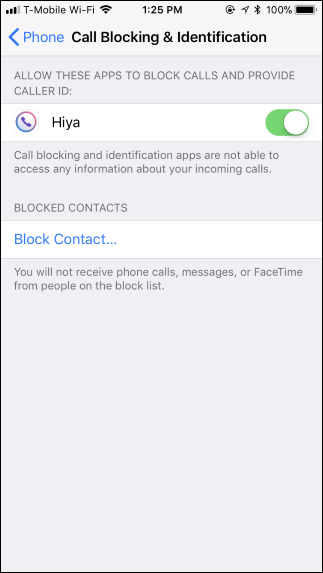 >>You can then head to " Settings"
>>Then "Call Blocking & Identification" to enable the app for blocking for phone calls, and Settings > Messages > Unknown & Spam to enable the app for blocking for text messages. If phone calls in general are bugging you, you can use "Do Not Disturb mode" to silence incoming calls. You can allow incoming phone calls only from the numbers you specify, so you’ll still get calls from the people you care about. The “Allow Calls From” option controls which phone calls you receive in Do Not Disturb mode. Set it to “Favorites” and calls from your favorite contacts will be allowed through. You can view and manage your favorite contacts by opening the “Phone” dialer app on your iPhone and tapping the “Favorites” icon at the bottom of the screen. >>Just swipe up from the bottom of your screen to access the Control Center and tap the moon-shaped Do Not Disturb icon, or head to Settings > Do Not Disturb and set a custom schedule for when you’d like your phone to enable and disable Do Not Disturb mode. >>Open the Settings app and tap the “Notifications” category. >>Once you click that, in the “Notification Style” section, you’ll see a list of every single app currently installed that is capable of showing notifications. >>Under each app, you’ll see the type of notification they’re capable of displaying. 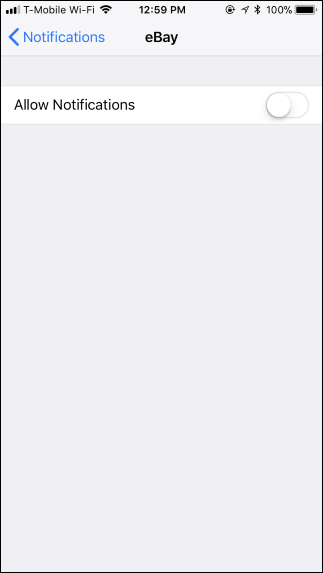 If an app can’t show notifications (or you’ve already turned them off for that app), you’ll see the word “Off” instead. >>Tap an app in the list to change its notification settings. >>Turn off the app’s “Allow Notifications” toggle to disable all notifications for the app. >>Tap the “ Notifications” option at the top of the screen to go back, and repeat this process to disable notifications for as many apps as you like. To change how an app shows notifications.... 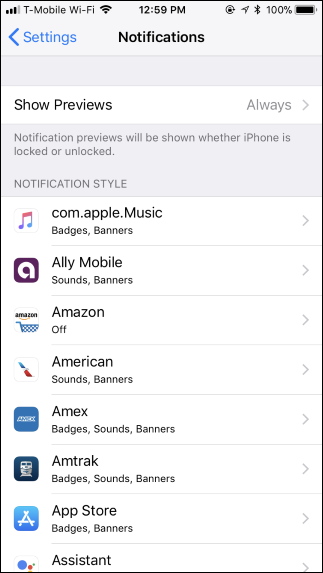 Tweak the options on the Notifications screen rather than turning notifications off entirely like disabling the “Sounds” slider if you want to disable sounds, or disable all the options under “Alerts” if you don’t want to see any notification messages. In some case, there are some applications that provide even more options. Like, the Mail app provides a few helpful features to get notifications for only emails you care about while ignoring most of the emails you get. So, you could mark certain contacts as “VIPs” from within the Mail app and then enable notifications for VIPs, while disabling other email notifications by just going to the Settings bar, Next to >>Notifications then move to >>Mail. You could also enable email notifications only for specific conversation threads if you’re waiting for a response to something but If you just want to disable notifications for privacy reasons , you can toggle the “Show Previews” option for all apps or just one app from the Notifications settings. NOTE: This prevents anyone with access to your phone from snooping on the content of your notifications without first unlocking your phone.